Feature film Wonderful Unknown follows Annie, an American housewife trapped in a failing marriage. Annie decides to embark on a road trip with her wild and adventurous best friend across the Australian Outback, to scatter her mother’s ashes. “Wonderful Unknown has real potential to promote WA internationally, particularly to the American market,” Mr Day said. 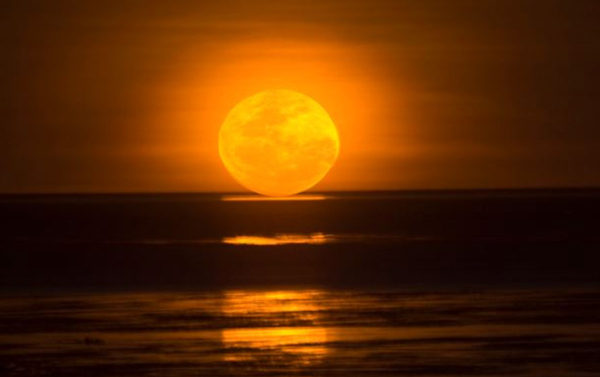 The destination central to the storyline is Broome’s Staircase to the Moon phenomenon at Cable Beach, but filming is also set to take place in Kununurra, the El Questro Wilderness Park including Emma Gorge, and on outback routes such as the legendary Gibb River Road. It will be produced by Victoria-based James Hoppe and John Finemore with Hollywood producer Mason Novick (Juno, 500 Days of Summer). Also supported by the regional film fund is the feature film adaptation of Dirt Music, based on Tim Winton’s Miles Franklin Award-winning and Booker Prize short-listed novel. Dirt Music follows Georgie Jutland, an unconventional woman in a conventional town, living with her widowed partner and his two small children. An encounter with enigmatic poacher Lu Fox, an outsider to the community, reignites her sense of purpose and this unlikely affinity leads them both to find where they truly belong. Regional Development Minister Terry Redman said both projects would showcase the State’s outstanding tourism assets and provide significant economic and creative opportunities for WA crew, actors and extras and local businesses, especially in the Mid-West and Kimberley. “Dirt Music is the first major film to be shot in the Mid-West for many years.” Dirt Music is produced by Academy Award nominated and BAFTA winning producers Finola Dywer and Amanda Posey (both Brooklyn, An Education) with Angie Fielder (Lion, Wish You Were Here) and will be directed by Gregor Jordan (Buffalo Soldiers, Ned Kelly, Two Hands) with the screenplay by Jack Thorne (Wonder, The Last Panthers). Also funded is a soon to be announced six-part drama series for prime time Australian television from producers Greer Simpkin (Jasper Jones, Goldstone, The Secret River) and David Jowsey (Jasper Jones, Goldstone, Mystery Road, Satellite Boy). All six episodes will be shot in the iconic Kimberley cattle country. Mr Redman said collectively the three productions would spend about 51 weeks in the State including pre-production and filming.